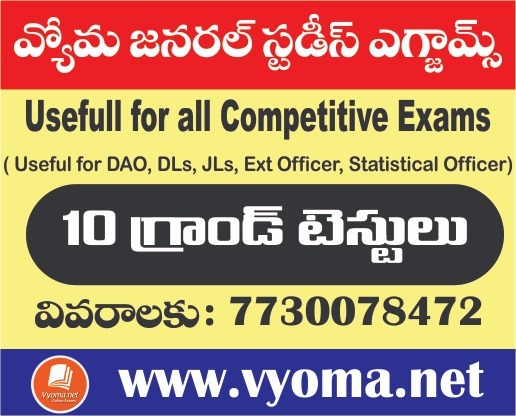 Vyoma provides you Andhra Pradesh State Public Service Commission (APPSC) Group 2 Online Practise Test 1 In Telugu. 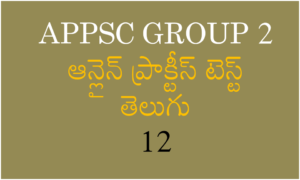 APPSC Group 2 Online Practise Test are available in subject wise and author wise for Telugu Medium Students. 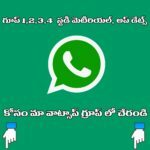 Group 2 APPSC Online Practise Test Telugu is available here. This Group 2 Online Practise Test Is very Helpful and useful For exam preparation like APPSC Group-1,2 and 3.